Plaque progression and vulnerability are influenced by many risk factors. Our goal is to find a simple method to combine multiple risk factors for better plaque development prediction. Intravascular ultrasound data at baseline and follow-up were acquired from nine patients, and fluid–structure interaction models were constructed to obtain plaque wall stress/strain (PWS/PWSn) and wall shear stress (WSS). Two hundred fifty-four slices with noticeable change in plaque burden were selected for analyses. Data of six key morphological and biomechanical factors were extracted from each slice at baseline to predict plaque development measured by plaque burden increase (PBI) from baseline to follow-up. A multi-factor decision-making strategy was proposed to assign a binary predictive outcome YW (W represents any combination of these six factors) based on simple “threshold value” idea to predict the ground truth YPBI: YPBI = 1 if PBI > 0; YPBI = 0 otherwise. A fivefold cross-validation procedure was employed to identify the optimal predictor among all possible combinations. The results showed that PWS was the best single-factor predictor for PBI with a prediction accuracy of 63.0%. Among all 63 combinations, combining lipid percent, PWS and WSS gave the optimal predictor, achieving a prediction accuracy of 68.1%. 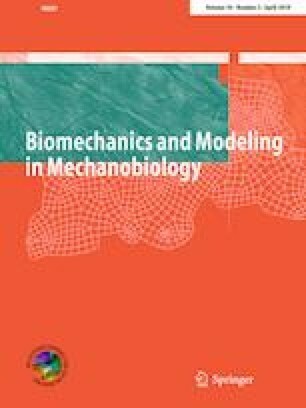 This demonstrated that compared to single factor alone, integrating morphological and biomechanical factors would lead to higher prediction accuracy. The simple method could be extended to combine factors from different sources to improve prediction accuracy. Efforts in mechanical analysis and modeling automation are needed to bring this strategy closer to potential clinical applications. This research was supported in part by US NIH/NIBIB (Grant No. R01 EB004759), National Natural Science Foundation of China (Grant Nos. 11672001 and 11802060), the Natural Science Foundation of Jiangsu Province (Grant No. BK20180352) and a Jiangsu Province Science and Technology Agency (Grant No. BE2016785).